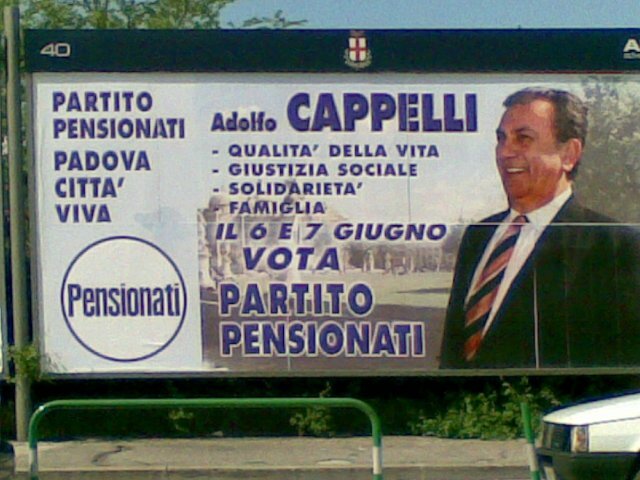 This is for the “Partito Pensionati” or, translated literally, the “retiree party”. Their motto is “get off our lawn, you damn kids”. Not really, I looked it up and it’s actually “we’ve got ours, now kiss off”. Ok, I made that one up too. Leave your own motto for the “Retiree Party” in the comments below.